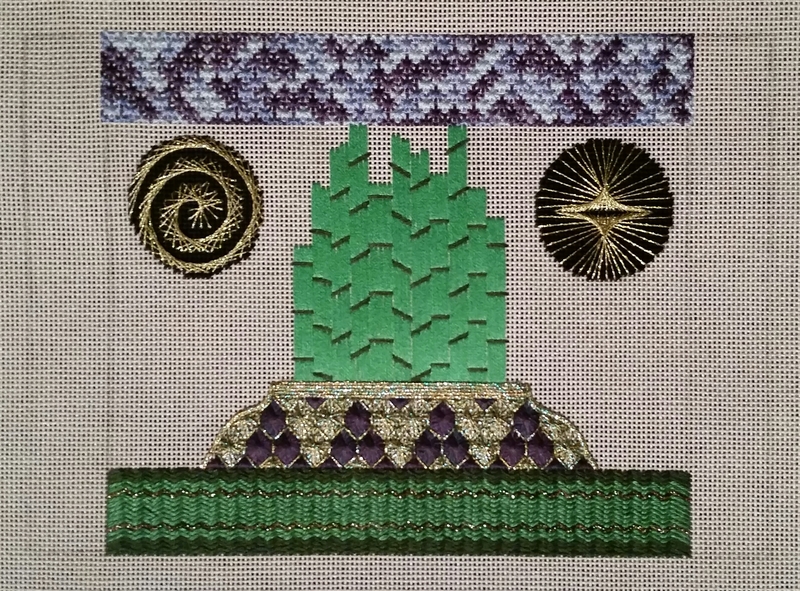 The sixth clue in the Stitching Games 2015 run by stitcherie is “lilliputian”. From Gulliver’s Travels, a race of very small people; also meaning very small. So, the smallest area left on my canvas is the other circle (the one on the right). 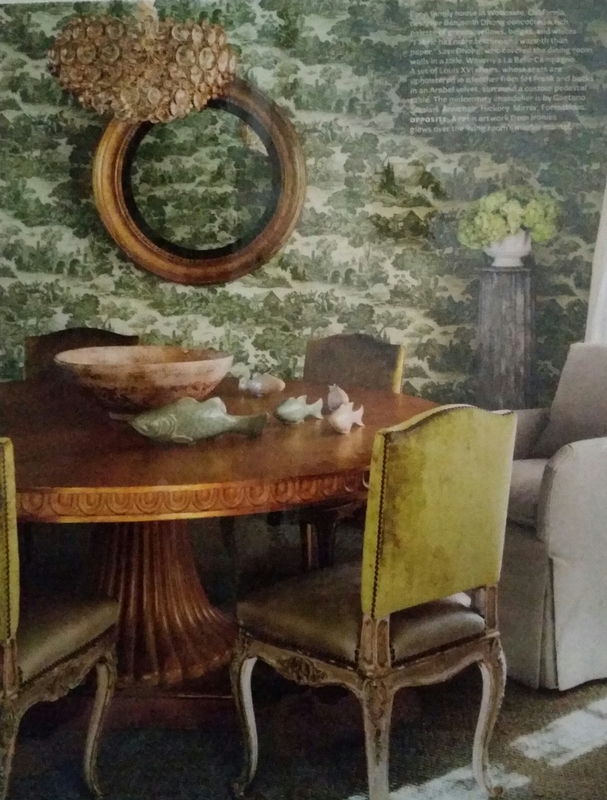 I created my own round Amadeus based on my learnings from my Jean Hilton books. No studio or office for my stash. 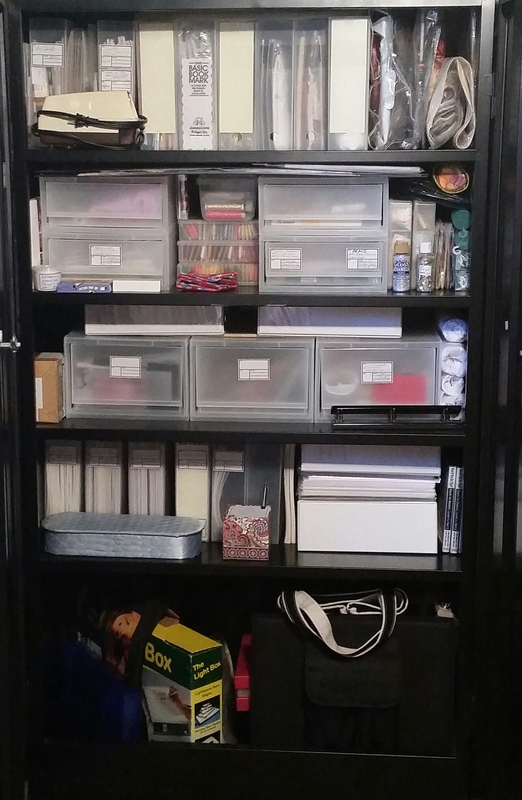 But, my 5 foot 5 inch tall (36″ wide) cabinet (pictured below), 5 drawers (15.5″ x 19.5″ x 13.5″), 5 bags (2 large totes, 3 small totes), and a bin are now reorganized (charted projects, ground material (painted and colored 14 or 18-count canvas/perforated paper/vinyl/linen), bars, bags, threads, tools, finishing materials including objects such as boxes/coasters/ornaments/frames/rulers/snow globe). Most of my storage containers came from The Container Store (what a wonderful place). I had done this a few years ago but couldn’t find stuff easily. It took me 5 days but I’m done! 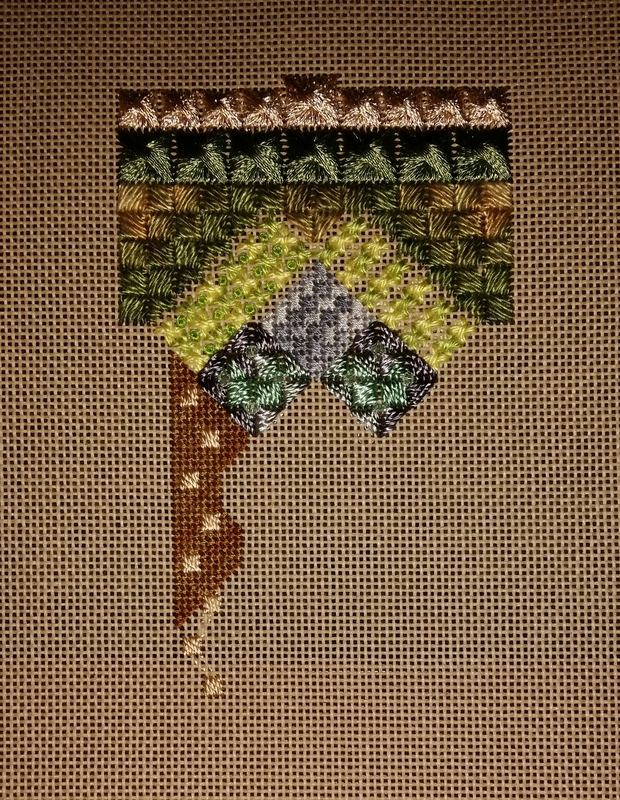 And, happy to get back to stitching! 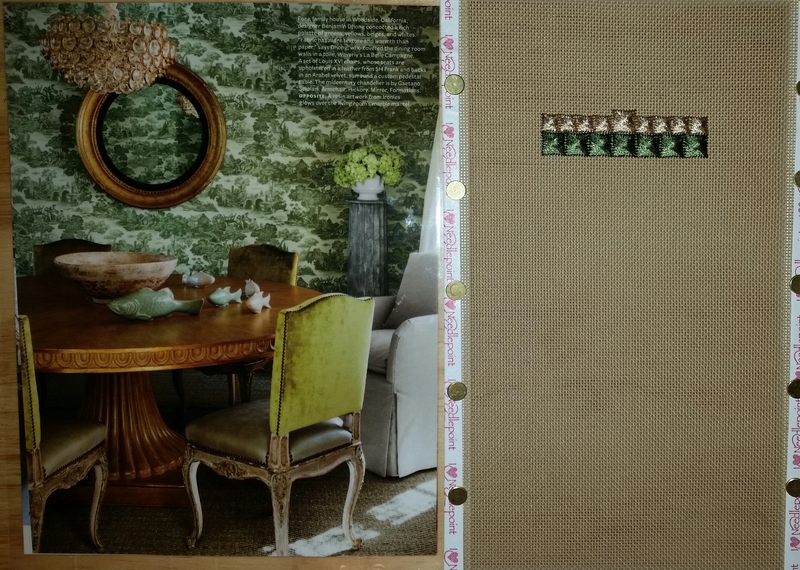 Thanks to Linda (in my ANG chapter) for the idea of binders with top loading sheet protectors. I got ones that hold up to 70 pieces of paper not that many hold that much but it allows threads to fit with instructions for small projects (of which I have a few). Now, I will actually be able to find things! 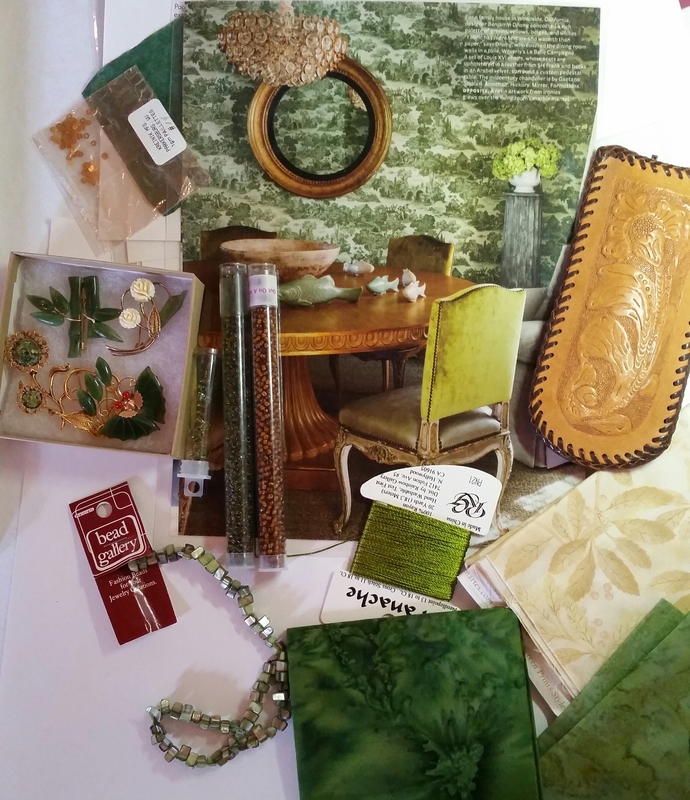 It was an eye opener to see how many projects I want to stitch. I think road trips in the future may have to be focused on purchasing threads for projects I already own. Of course, my husband reminded me that I should try to “shop at home” in the one drawer & one bag already filled with threads before buying more! 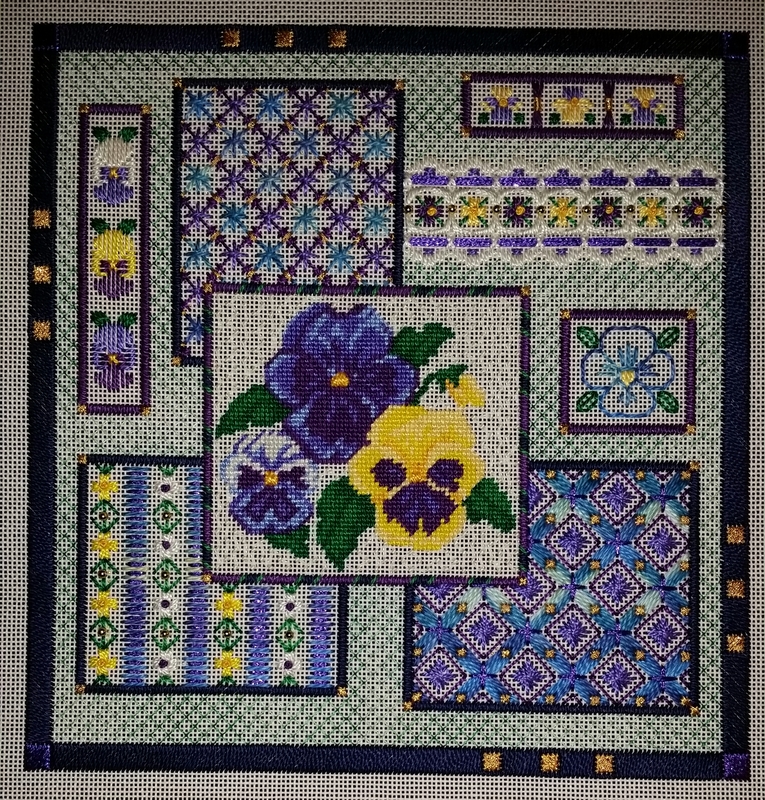 I finished Laura Perin’s Pansy & loved seeing it come to life. It would be interesting to see this stitched with some silks. 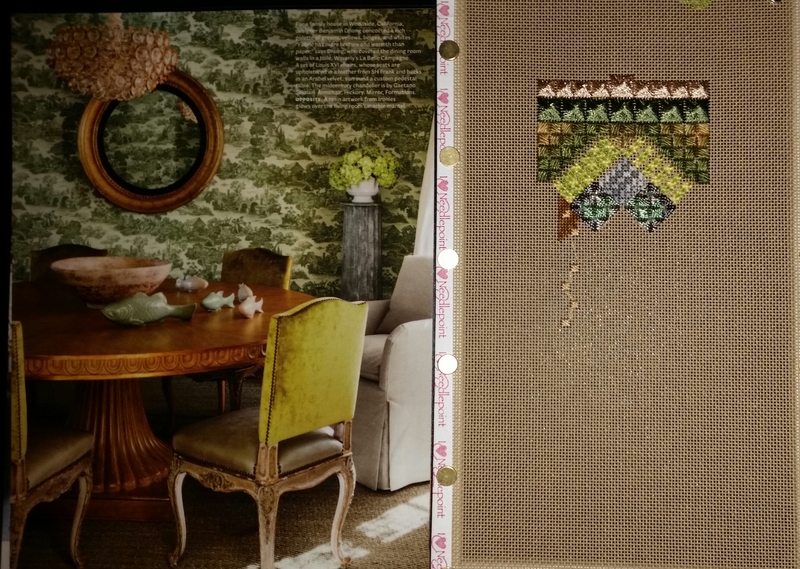 Before I take it to the framers, I want to stitch a companion piece. I have the threads ready to go. However, I have a few other pieces have to get done first. Hopefully, it’ll be done before next spring! 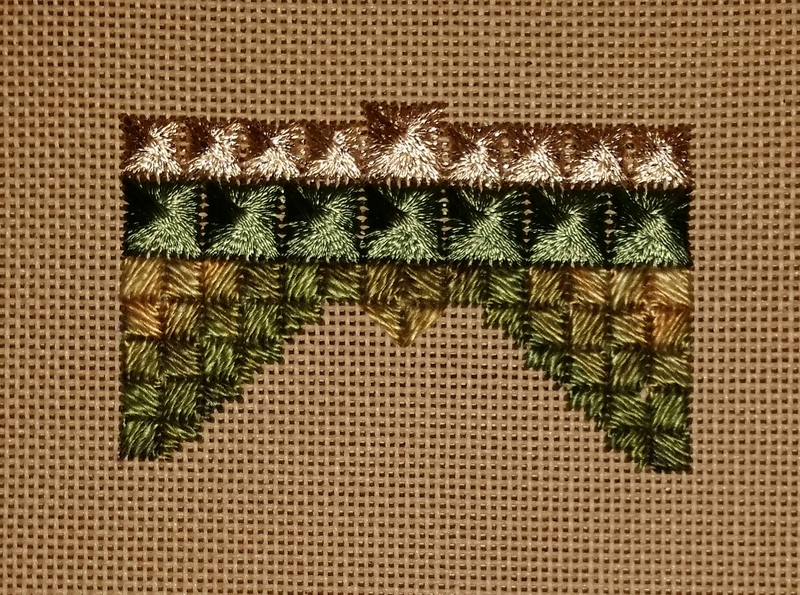 Recently, I have playing with Jean Hilton stitches to understand them. How they work so I can adapt to pieces I’m working on. 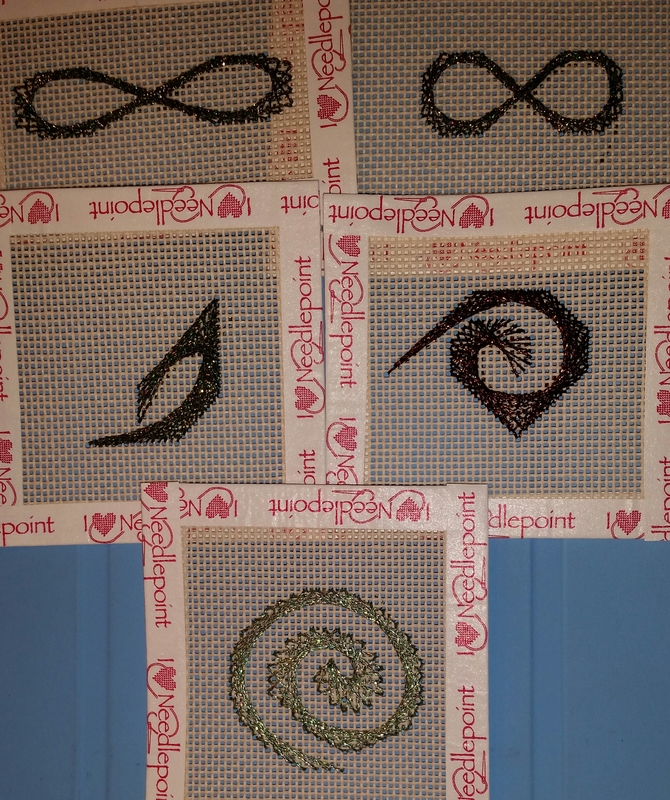 These came from Jean Hilton’s Stimulating Stitches (infinity symbol, raccoon eyes, leaf, curved leaf, nautilus) (page 13). 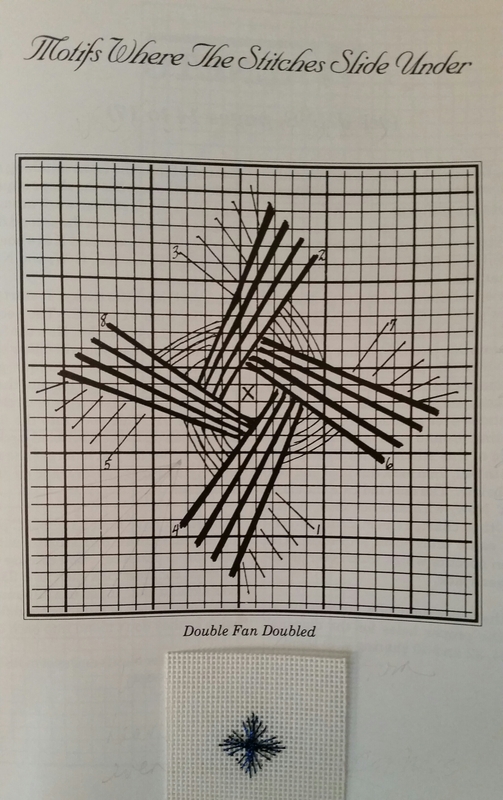 The double fan doubled also from the same book (page 37). However, there is no explanation of how to make the opening in the middle. So, if anyone can share any insights, I’d appreciate it!